I honestly cannot make up my mind which historical families and dynasties were the most dysfunctional and the most worthy of a prime spot on a Jerry Springer episode...but after reading Hadlow's A Royal Experiment, the Georgians are right up at the top of my list. And yet somehow I have never before been so charmed, so captivated, and so in love with dysfunction than I was while reading this book. Right off the bat, I have to talk about the author, Janice Hadlow. 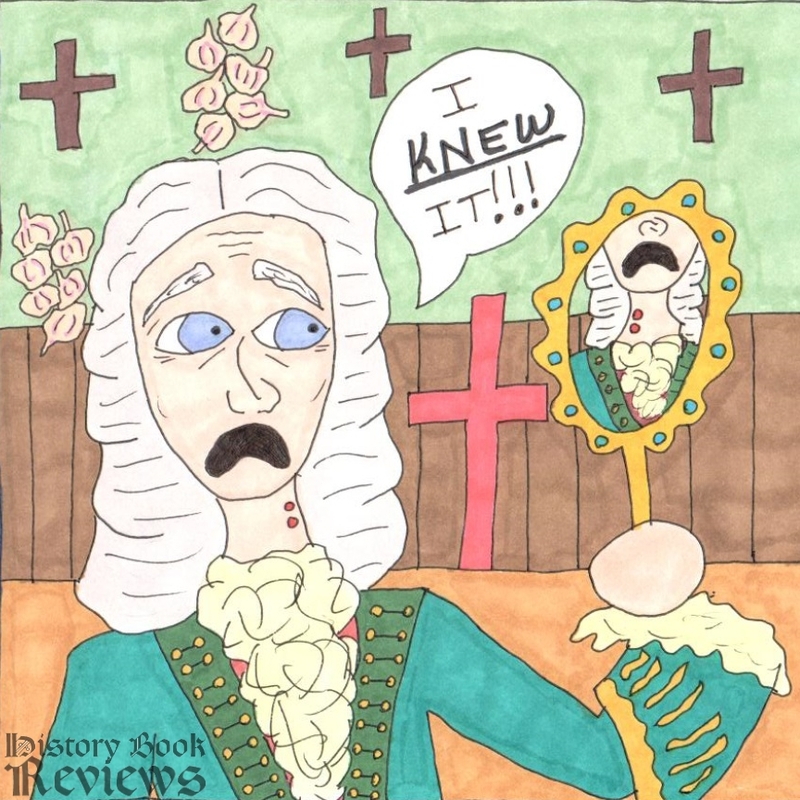 This is Hadlow's very first history book--and I LOVE her!!! From the first words of the prologue, I was utterly enchanted and thrilled by her passion, her writing style, and her genuineness. She absolutely bubbles over with her love of the past and her desire to understand its people, which spoke right to my heart. I laughed out loud when she described what she would wear if she were to have her portrait painted back in this era, and who she would want to paint it! She shows a refreshing hunger and passion for history and truth that I haven't seen in a long time, since the last time I had a few drinks and lectured fellow bar patrons on Henry VIII until I lost my voice. I felt so connected to Hadlow's love of history that I desperately wanted to meet her in person and talk with her until...well, until I lose my voice again. 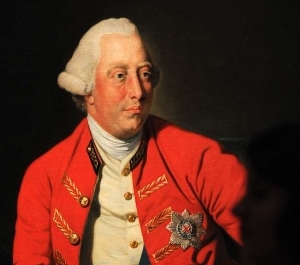 A Royal Experiment is primarily about King George III and his family, but a substantial part of the book is about the Georgian dynasty as a whole, and all the Georges that came before. To be honest, this is my favorite part of the book. Maybe it was because I knew very little about the first few Georges of England, or maybe it was just because I love a good historical scandal, but I could not tear myself away from the first few chapters. Hadlow introduces us to George I, whose wife, Sophia Dorothea, took a lover. That lover was subsequently murdered by a royal coalition of Sophia's husband and father-in-law (who was also her uncle), and Sophia was imprisoned in a castle for the rest of her life. To be fair, she did write to her lover about how bad in bed George I was, so she probably could have guessed it was coming. George I HATED his son, George, who believed wholeheartedly in vampires. Sadly, this was to spark a depressing tradition for the Georgians, namely that every single one of them would despise their first-born sons. George II (the vampire aficionado) was even worse. He married Caroline of Ansbach, and their relationship was even more messed up than Ted Bundy's (who made his girlfriend bathe in ice water before getting in bed so she would feel more like a dead body). George II had mistresses solely for the purpose of making his wife jealous, and as a way of displaying independence from her, since he felt emasculated by her. 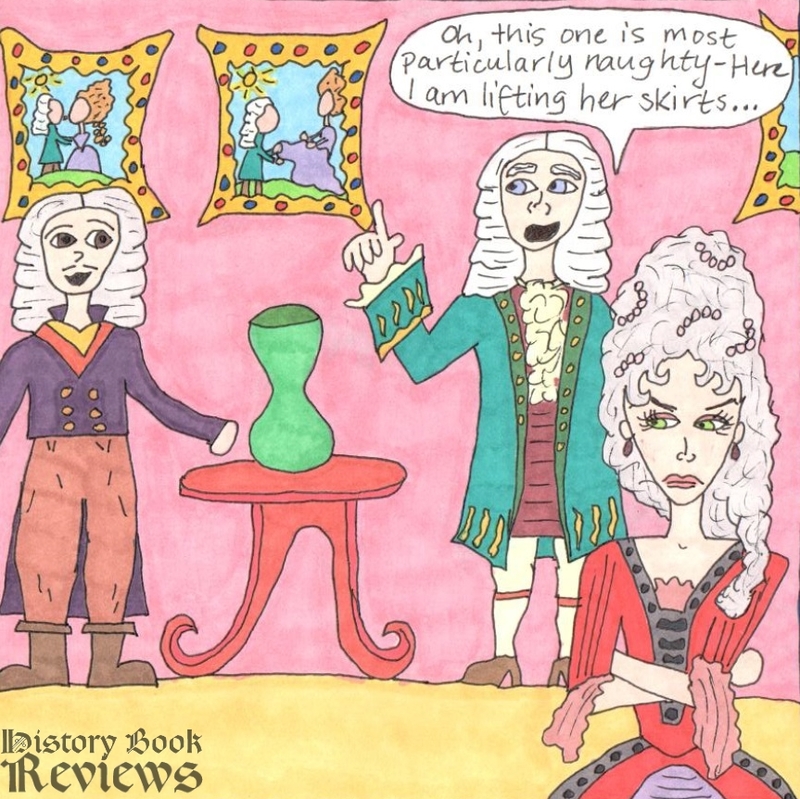 He fell in love with a woman from Hanover, and he not only wrote letters to Caroline telling her all about the affair, but he had portraits painted of their sexual encounters and had them hung in her dressing room. Then he would give tours of the room to his wife and their courtiers, explaining the story behind each illicit and shockingly amorous painting. Hadlow's writing was so wonderful that I was emotionally affected by the story, and I suffered for what Caroline must have been feeling. I like to think it was something like: "You've got to be f***ing KIDDING me!!!!!" True to form for the Georgians, George and Caroline despised their son Frederick with a "pathological intensity". To play devil's advocate, Frederick took as his lovers women who had served BOTH his father and his grandfather, and adored practical jokes such as setting up bowls of water that would fall on peoples' heads when they walked through doorways, so you can't blame his parents entirely. Fred once wrapped a fat politician in a blanket and rolled him down the stairs!!! Still, this doesn't justify his mother's repeated wish that her son was dead. Fred did in fact end up dying rather early, leaving his eldest son George as heir to the throne. When George III became King in 1760, he had a lot of novel ideas about kingship based on things he had read and things he had experienced in his own life (he mostly wanted to do the opposite of those things), and Hadlow explores this in detail. This part for me was a little bit dry, but only in comparison with how riveting the first part of the book was. Hadlow talks in length about George and Charlotte's relationship, their child-rearing philosophies, their ridiculously large number of children, George's madness, and family politics. True to form, they bitterly hated their eldest son, another George, who got drunk at quite a lot of their family parties and threw up in front of their guests. Mostly Hadlow presses home that it was George III who changed the face of the British monarchy. The disastrous reigns of his Georgian ancestors were characterized by scandal, extravagance, and little interaction with their British subjects. After George III's 60-year reign, the British monarchy was aligned with duty and obligation, identifying with the people, and the foundation of family stability. George's was the first royal family to be highly visible to the people, and the continuation of this led to the British royals' current status as popular celebrities. This then, the revolutionizing of the kingship, was George's Royal Experiment. Sadly for George III, despite how hard he tried to get away from the ugliness and dysfunction of his predecessors, he was still dogged persistently by scandal throughout his long reign. Of course there was his mysterious malady, claimed by some to be porphyria and by others to be mental illness, which kept him confined in strait jackets for many years. His symptoms included manic bouts of talking until he passed out, becoming obsessed with a certain Lady Pembroke of court and telling his wife he hated her and preferred Lady Pembroke (in front their children), trying to seduce his daughter-in-law, and using increasingly bawdy language in front of his daughters. He also believed he had the power to raise the dead. What kind of illness could cause all this?!?! Sadly, all this (and some implied bad behavior in the bedroom) caused his wife's heart to shrivel to him and to the world, and she became a poisonously bitter figure in her children's lives. Of her children, one daughter died of tuberculosis, another daughter had an illegitimate child, and a son got hit with a cannonball and terribly disfigured. The princesses' lives especially were very tragic. As Hadlow puts it, "one of George's greatest achievements was to show his children what love and affection looked like; his great tragedy was that as grown men and women he allowed them so few chances to enjoy them." For such an important, world-changing monarch, George III's last words on his deathbed were kind of a letdown: "an application for some jelly". History cannot tell us how he wanted to use that jelly, but through the descriptions of his life and his death, Janice Hadlow paints a remarkably vivid and compassionate portrait of George and his family. 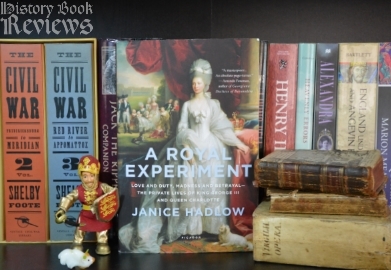 A Royal Experiment is beautifully written, engaging, genuine, and so detailed that the historic figures jump off the page as living, breathing people. I bow down to Hadlow for this book--it is a difficult thing to infuse a dense scholarly work with so much passion and humanity that you forget you're even reading, and feel instead like you're living in their world. Now I just have to pick what I want to wear for MY portrait!